PRICE & PROGRAMM CHANGES 2F-GAMES! With this news I would like to draw your attention to price and program changes in 2F games. Don't get caught in a pickle! 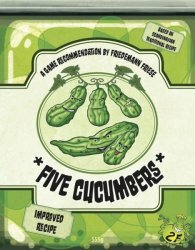 You can only order the English edition of "Five Cucumbers" in the Spiel direkt Shop until 28th February 2017. Afterwards the edition will be available from 2F US distribution partner Stronghold Games. 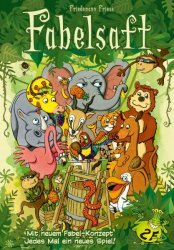 Of course, 2F-Spiele continues to distribute the German edition Fünf Gurken (currently in new production), so you can order these after May/June in the Spiel direct Shop. 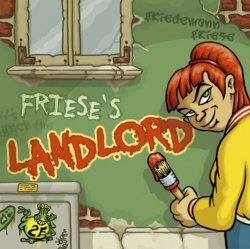 You can only order the English edition of "Friese's Landlord" in the Spiel direkt Shop until 28th February 2017. 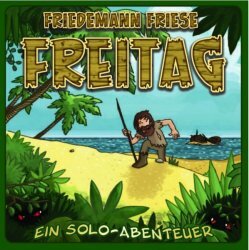 Of course, 2F-Spiele continues to distribute the German edition Frieses Wucherer (currently in new production), so you can order these after May/June in the Spiel direct Shop. Starting on 31st March 2017, the prices for Freitag (German Edition) increase. For the game the new MSRP will be 14,00 Euro (instead of 12 Euro) per game. Due to the surprisingly high demand, The first edition was sold out quickly. The postproduction is again available from calendar week 9 (carnival week). Pre-orders will be delivered immediately. 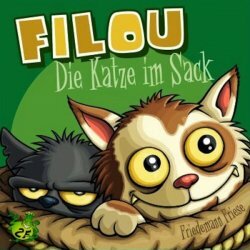 Preorder the game by Spiel direkt eG.